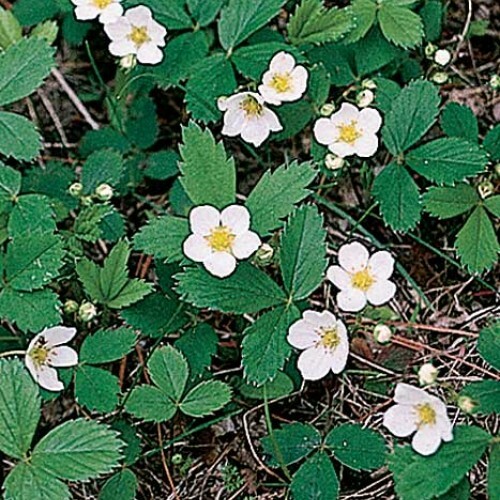 'Kelly's Blanket' is a vigorous growing groundcover strawberry that quickly produces a dense mat of runners. Vibrant white clusters of flowers grow above the foliage. Originally found in pure sand in central Michigan, this plant can grow in sun or light shade and produce prodigious amounts of runners per plant, three times that of other wild strains. Durable to traffic yet not overwhelming to other plants. 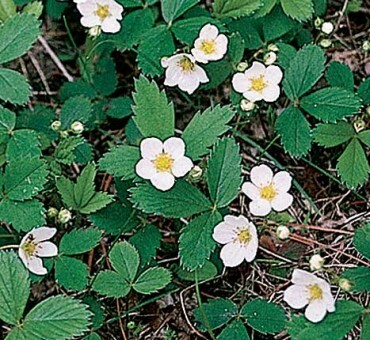 Does not produce many berries and puts all its energy into runner production. Will pollinate other strawberries, but does not fruit very much. Prefers sandy well drained soil. Zone 3-8 ,maybe even in zone 2. Massively successful. Easy as a ground cover.